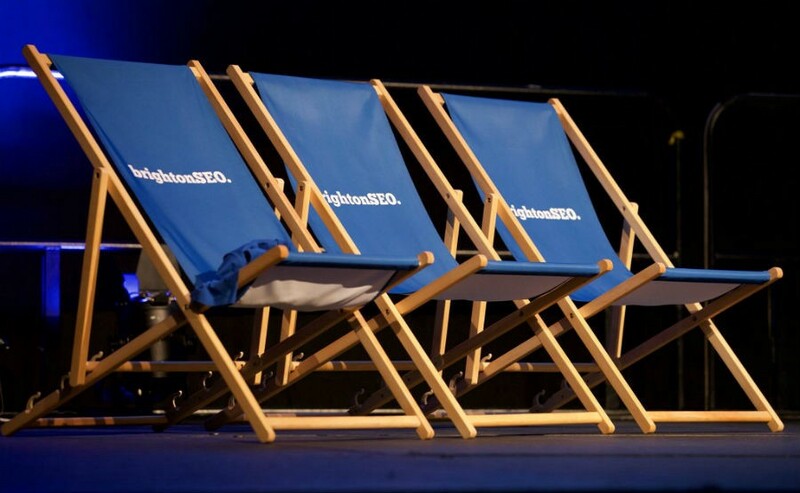 The biggest SEO conference in the UK, BrightonSEO, hosted it’s 14th event in April, delivering the most up to date information on what’s new for SEO in 2017. Over the last few years, Google has shifted more and more towards mobile and several significant changes are expected this year. Including the increase of Accelerated Mobile Pages (AMP) and the mobile-first index. Other relevant topics for marketing managers, such as local SEO and manual penalties were also discussed. If you have a local business or multiple retail outlets, then you need to take local SEO seriously. It is an entirely different animal to traditional SEO. When people search for a specific location, they are often looking for directions, opening times and reviews. This is a significant step change in behaviour. Previously, reviews on Google Maps were the most dominant source of information and were highly influential in rankings for local SEO. This changed in September 2016 with the Possum Update. Business listing platforms such as Facebook and Yelp now play an important role in determining local SEO rankings. It sounds simple but is all too often neglected. Businesses must ensure the correct address, opening times, phone numbers, website and good reviews and make sure that these details are consistent everywhere they are available online. As always, content that is useful to the user is crucial. To this end, it is critical to give as much information as you can about your offering in each location and to do your homework when it comes to on-page factors such as title, headings and images, mentioning your locations. According to the most recent Moz’s Local Ranking Factors Survey, links are still the main ranking factor with 29%, followed by on-page signals with a 24% weight in the mix and many other factors including location, reviews, user behaviour and others. The use of Accelerated Mobile Pages (AMP) is growing day by day. AMP allows mobile pages to work with simple HTML code. That means pages can load instantly on mobile. It was introduced initially for news-related websites but is becoming more widely adopted across a variety of web pages in 2017. This technology has just been rolled out in Ireland this April, and some big Irish publishers already had AMP versions available in advance. Advantages of having AMP pages go beyond offering a page that loads four times faster. Pages have a special tag on Google search results and special carrousels on top of search results which prioritise AMP results. Google has long ago implemented automated processes to monitor compliance with its Webmaster Guidelines. But manual monitoring and penalties can also happen. This means that if the algorithm triggers something unusual, someone at the search quality team in Google will review your site and check if violates the guidelines. The most common violations are related to links. Other examples are fake rich snippets, thin content, low content value and hacked websites. Penalties can be granular, affecting a page, a section or the whole website. They can also go from pushing your pages further in search results (e.g. after page 5) to the extreme of removing an entire website from search results. Having Google Webmaster Tools setup is fundamental to track the health of a website: it is the primary communication channel between website owners and Google. In cases where you have a manual penalty applied, the steps to send a reconsideration letter are simple to say but hard to execute. The best way to fix these penalties are to only address the mentioned problems and how you fixed them. Make sure to document each step of the process, not just to have a proof of changes you’ve made, but because often are the cases when website managers need to revisit them. On average Google will take around four weeks to provide an answer, but this can take up to eight weeks to have an answer from when you request a reconsideration. The Google search algorithm is constantly changing and so far, 2017 has been no different. Staying on top of these changes is key if you want to be found by customers. It’s also interesting to note that recent changes are less about tips and tricks. Instead, the algorithm rewards sites that are helping users have a much more enjoyable experience while on Google and on your website. AMP is about delivering content to your users much faster and Local SEO is about providing accurate and reliable information. Both are focused on the mobile first user and now Google’s algorithm is also set to prioritise the mobile user ahead of desktop. Gustavo Pelogia (@pelogia) is a Client Manager — Search & Analytics at Mediavest Ireland. Originally published at mediavest.ie on April 19, 2017. Three BrightonSEO takeaways for Marketing Managers was originally published in gpelogia.com • Digital Marketing on Medium, where people are continuing the conversation by highlighting and responding to this story. This entry was posted in Spark Foundry. Bookmark the permalink.